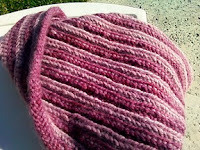 Anacapa Knits: Free Pattern: Fishtail Braid Cowl! 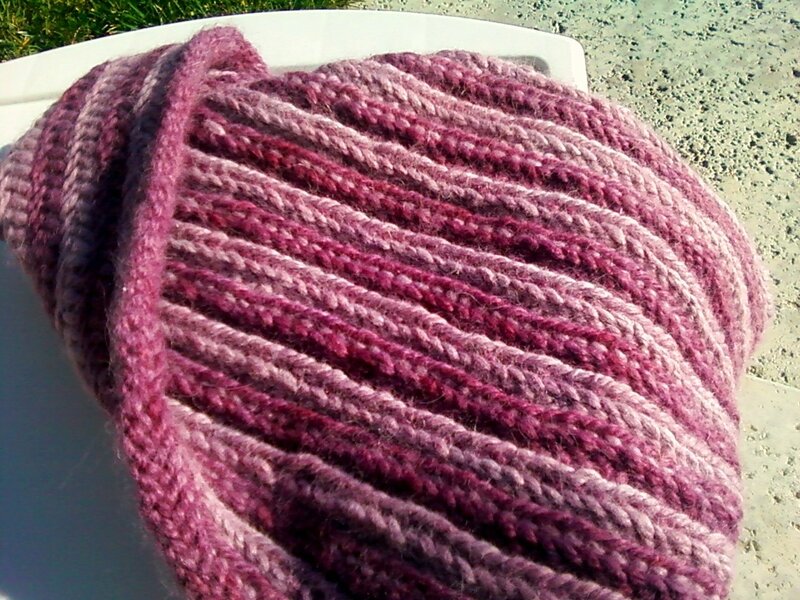 Free Pattern: Fishtail Braid Cowl! This month we have another great free pattern for you, the Fishtail Braid Cowl, by Karin Wilmoth. 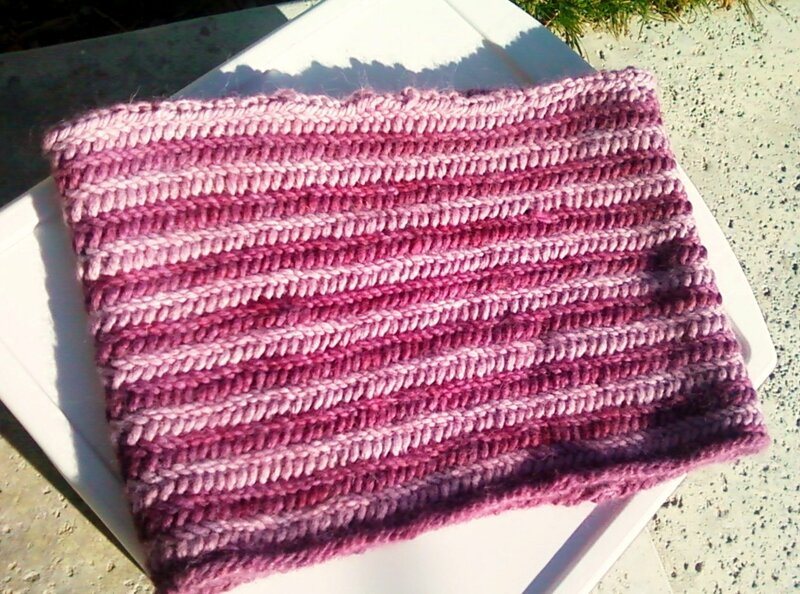 Karin works and teaches here at the shop, and her new cowl design is really really pretty! With 2 skeins of Misti Alpaca's new naturally dyed "Best of Nature" Chunky, you can whip up this cute and quick cowl to keep you all warm and snuggly! yardage of Chunky wt. Yarn, US 19, 24” circular needle, a stitch marker, & a blunt tapestry needle. your knitting in the round, being carfeul not to twist the stitches. Place marker. Round one – *K2tog and slip the first stitch only off the needle, leaving the second stitch on the left needle. needle, k2tog and slip first st only off the needle. Replace marker. Switch to Color B, but do not cut Color A. You will carry each color up, switching as needed. left needle, k2tog tbl and slip first st only off the needle. Replace marker. way you will work two rounds of each color, switching colors for 31 rounds. Weave in the ends, and lightly block. the blogging home of Anacapa Fine Yarns has moved! Click here to visit our new blog. Sat 10-5, and Sun 11-4. See What Classes Are Happening Now! The Easiest Christmas Stocking in the World!